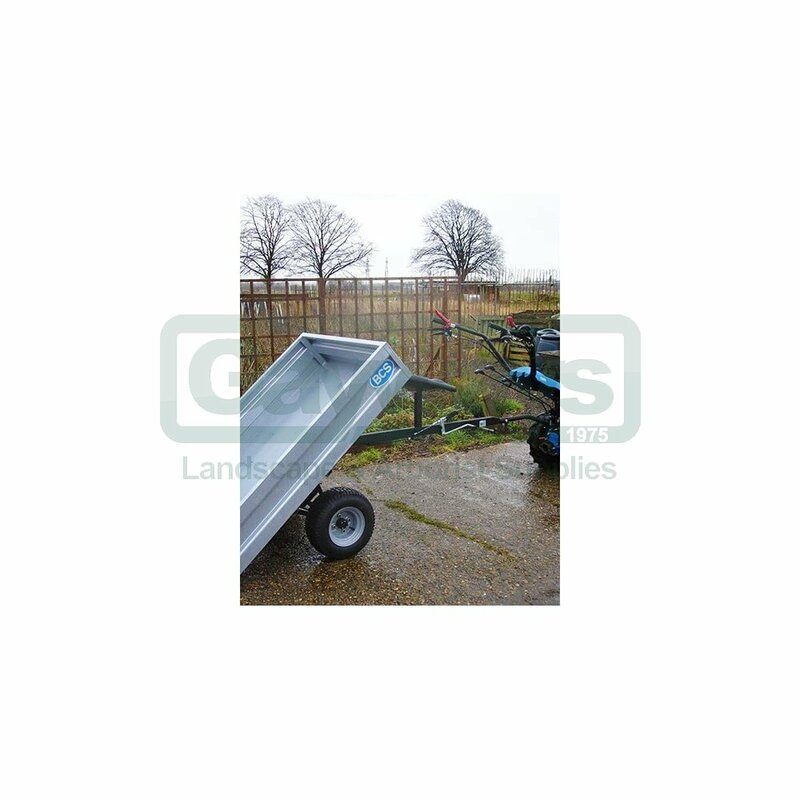 The BCS towed trailer is capable of carrying bulky loads up to 350kg, making it ideal for moving compost, logs, and other heavy produce around a large site. 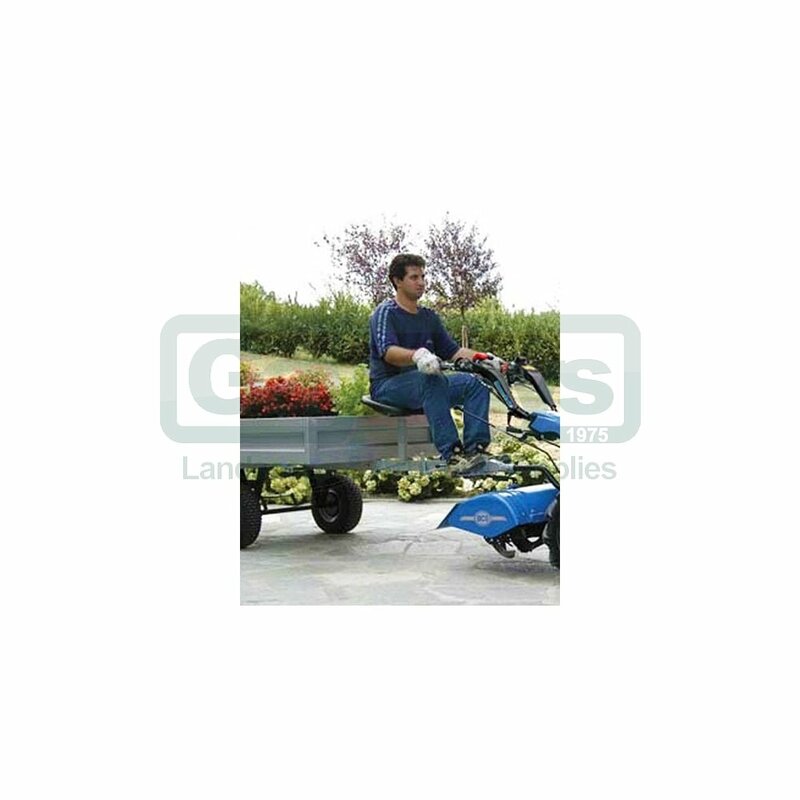 The trailer features a padded seat for comfort and hand and foot brakes for operator safety. 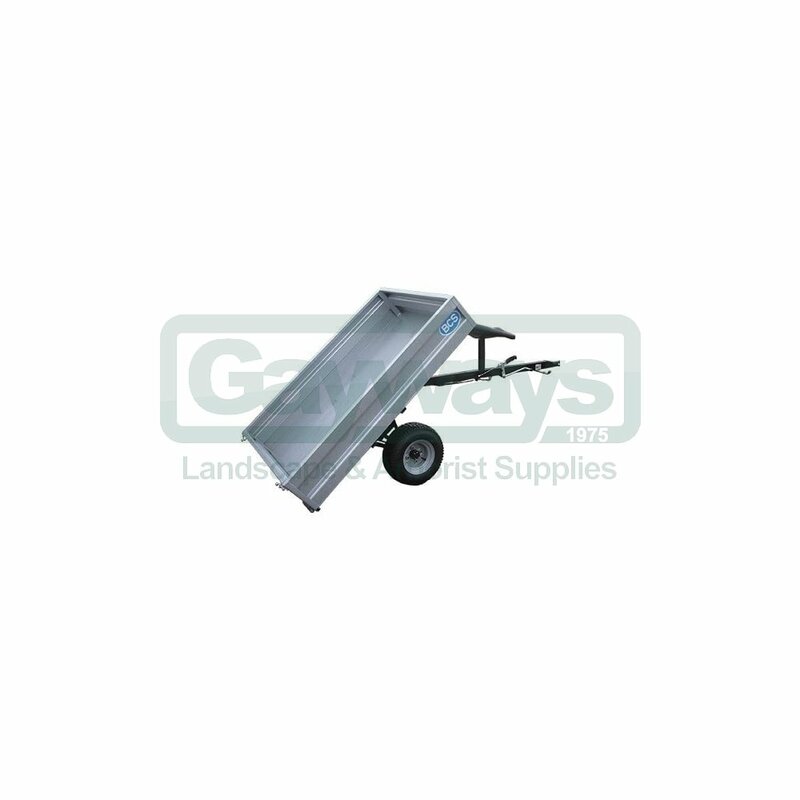 A simple lever enables the trailer to be manually tipped and the tailgate swings open to allow for straightforward removal of the load. 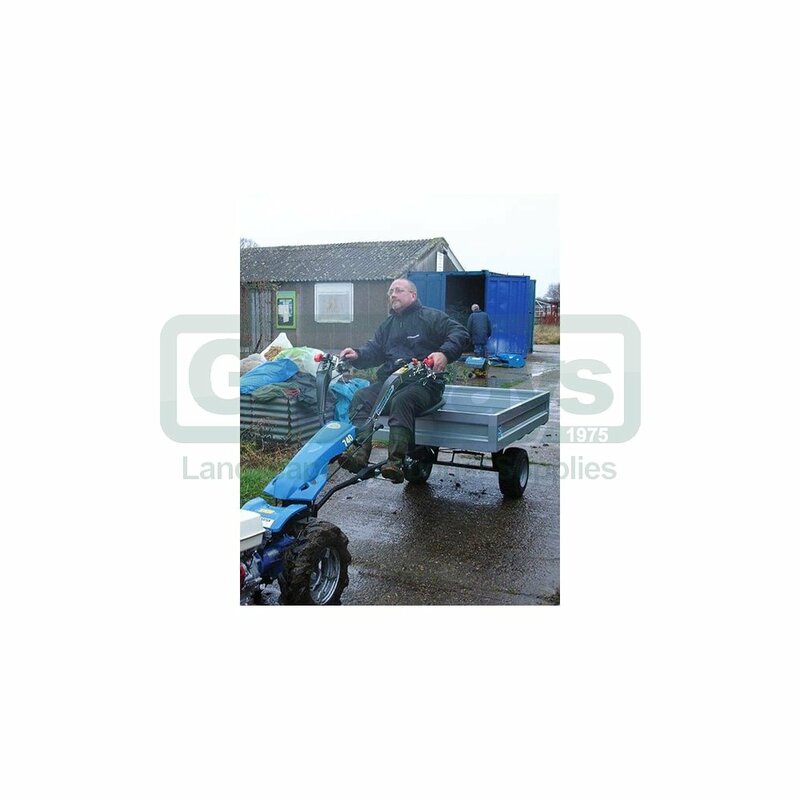 The trailer fixes to the power unit with a curved coupler which also helps to keep the trailer and power unit level whilst travelling. This "swan neck" coupler also enables the rotavator to stay fixed to the power unit as the tines will be raised off the ground when the trailer is attached. 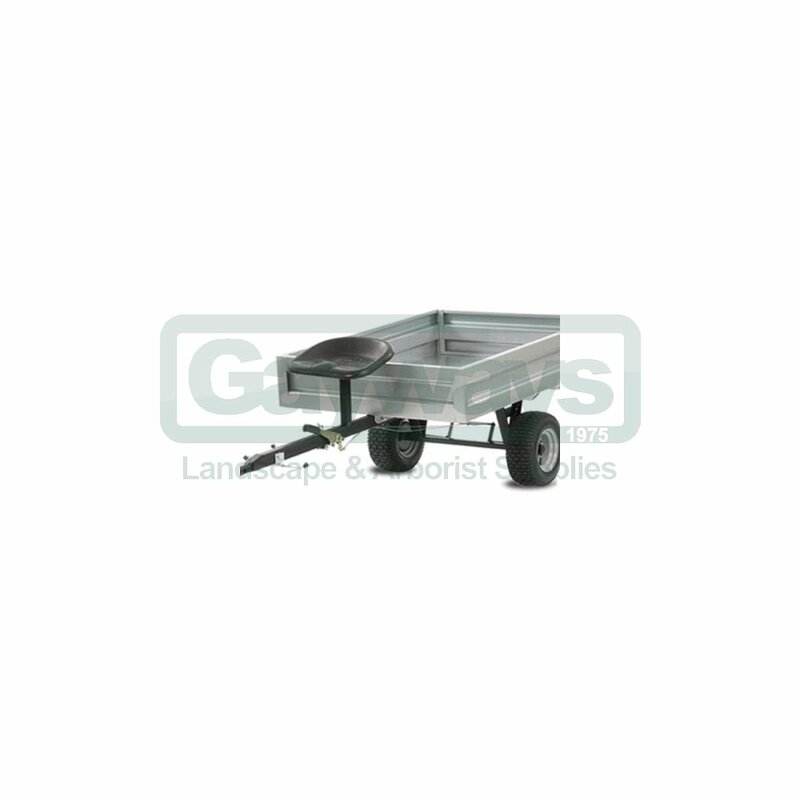 The body of trailer measures 110cm wide by 150cm long with a depth of 27cm. 11.7hp petrol or 9.0hp diesel engine. 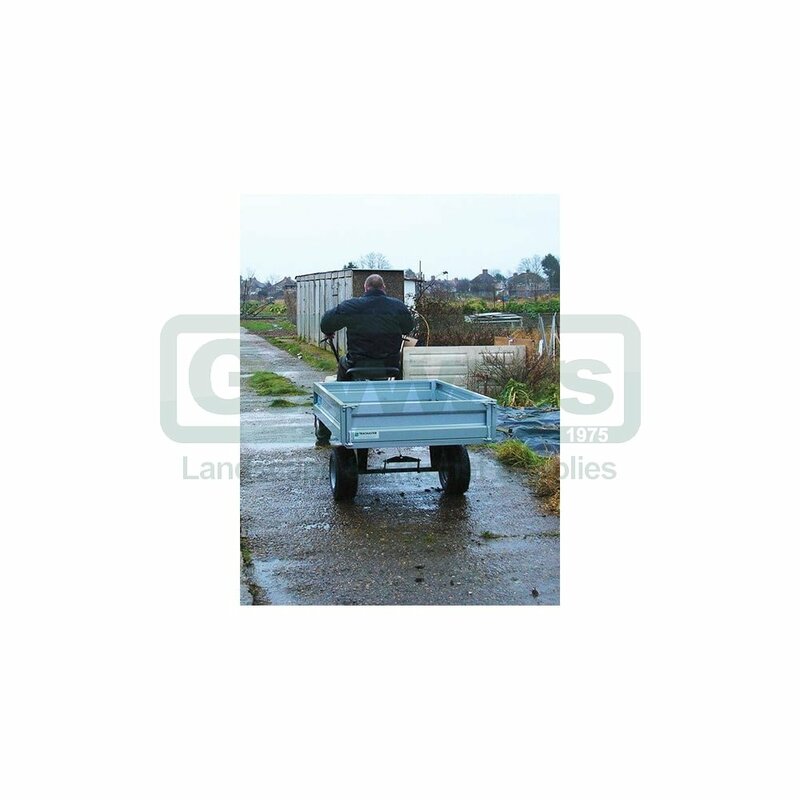 5.00 x 10 agricultural wheels. 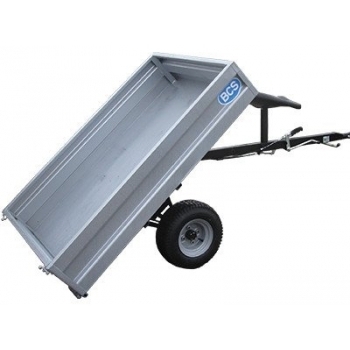 The towed trailer is supplied with all the couplers necessary. It attaches to the power unit via a trailer hitch point, so no other couplers are required.